Yes, the gathering at Third Place Books in Lake Forest Park brought out 7-8 of Seattle's Urban Sketchers. 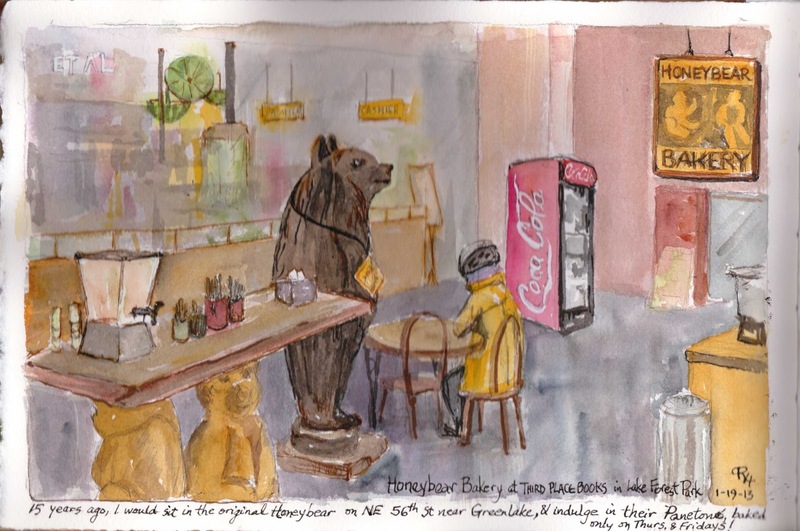 When I saw the bear standing in the bakery, I knew I had to try to paint him. Then I realized that two other bears were under the serving table. Back in the late 1990's, I often visited the original bakery on NE 56th St. in Seattle's Greenlake area, now called "Tangletown" neighborhood. My treat was their special panettone, baked only on Thursdays and Fridays!